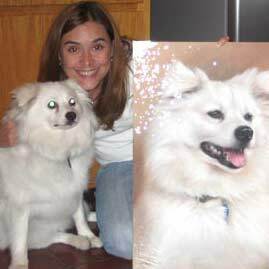 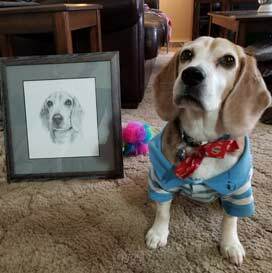 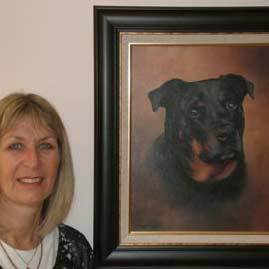 Pet Portraits Happy Clients Gallery! 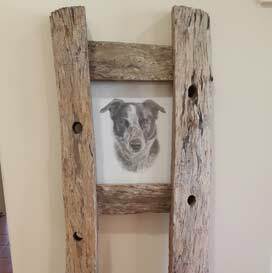 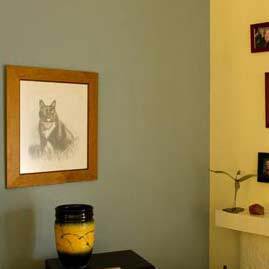 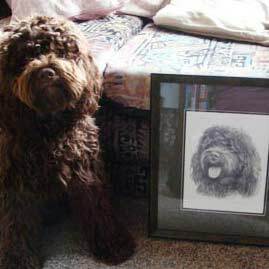 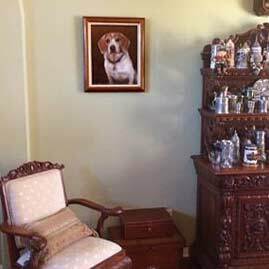 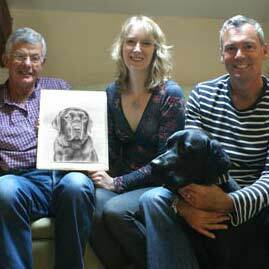 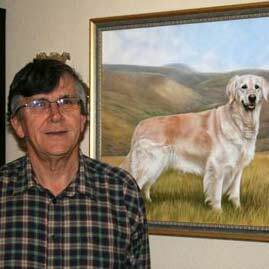 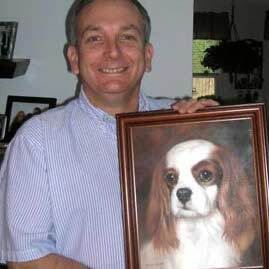 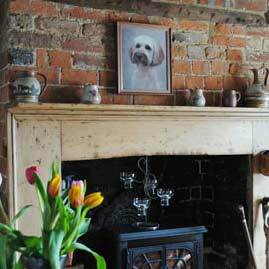 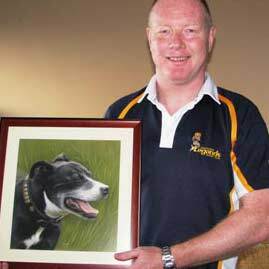 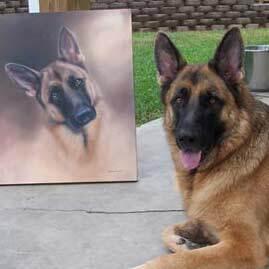 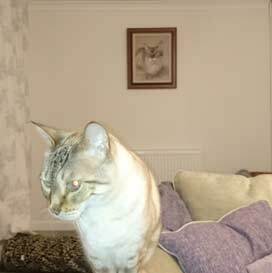 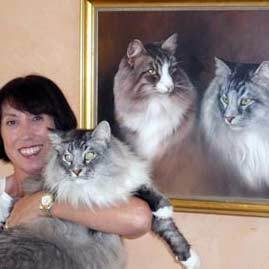 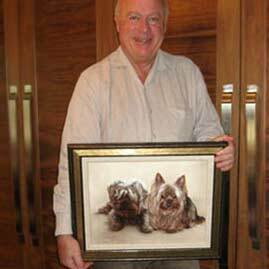 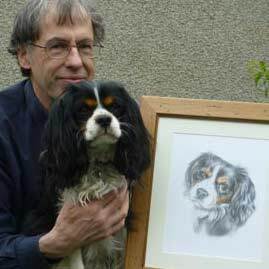 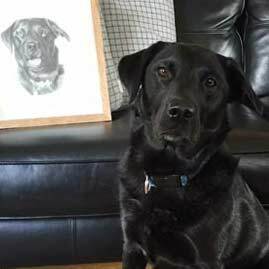 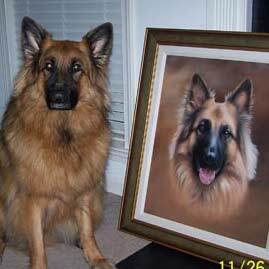 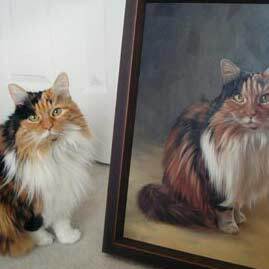 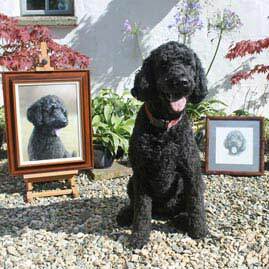 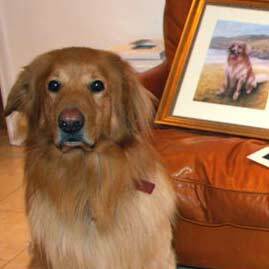 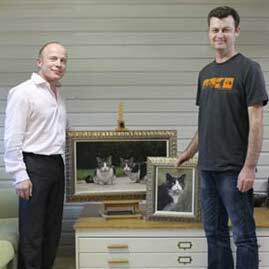 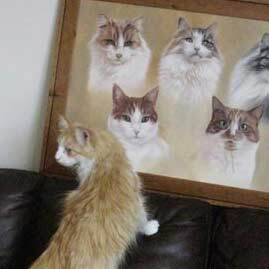 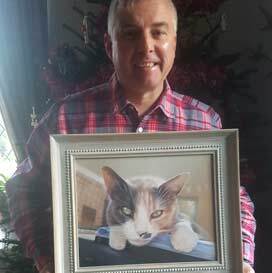 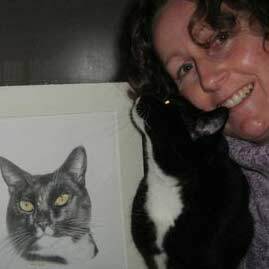 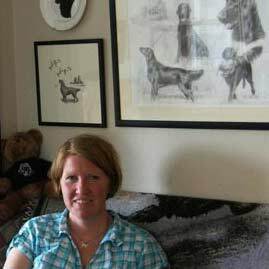 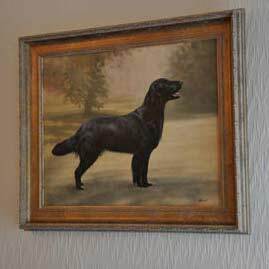 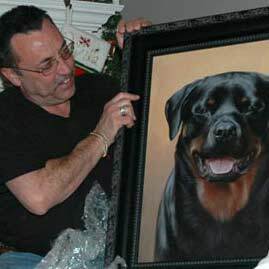 When we started painting pets about 22 years ago we never dreamt that we would receive so many wonderful letters of heart felt thanks from our happy clients - let alone some superb photos of clients with their portraits and pets too. 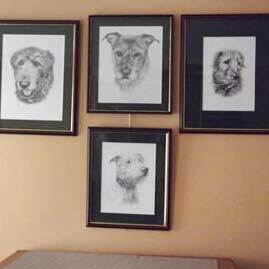 We have been lucky enough to be allowed to share them with you here. 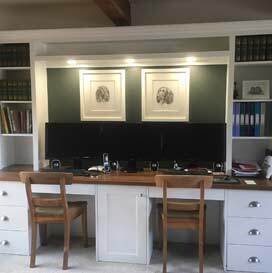 It often affects us emotionally when we read clients letters. 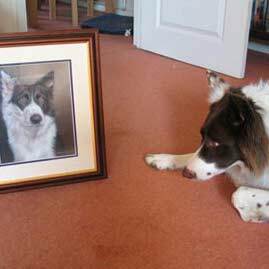 They are so personal, in fact many we don't reproduce in full as we often feel it wouldn't be right. 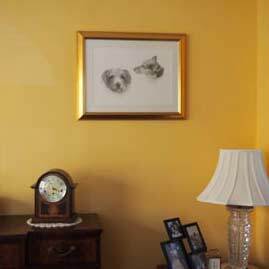 Below you can click on the images to view more photos and read testimonials about the portraits. 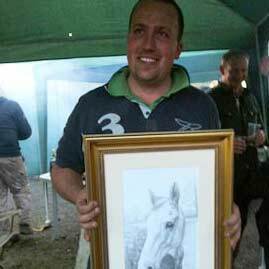 Here are two vidoes from clients when the portrait has been handed over for a birthday surprise. 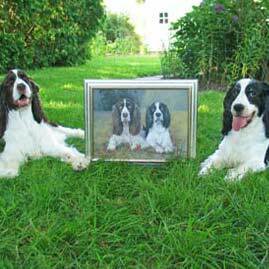 We hope that you like them - and can play them! 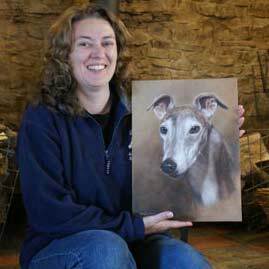 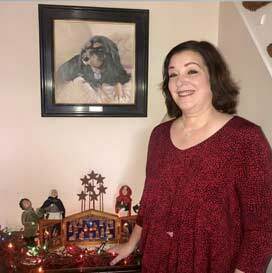 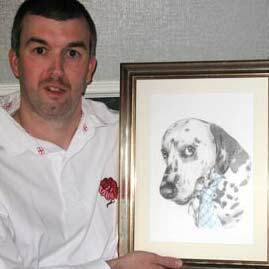 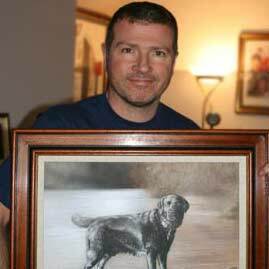 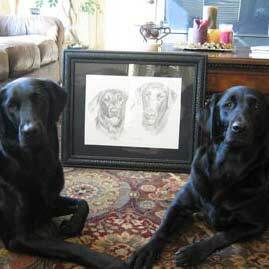 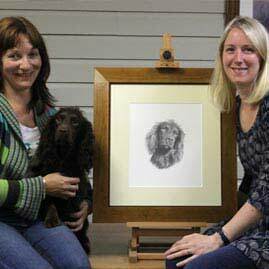 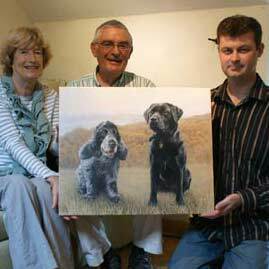 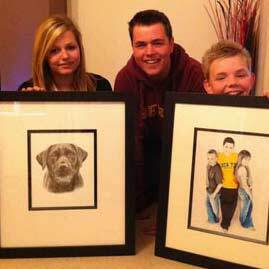 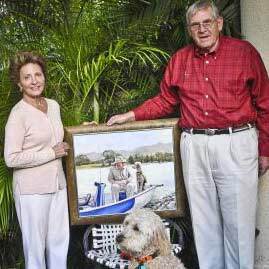 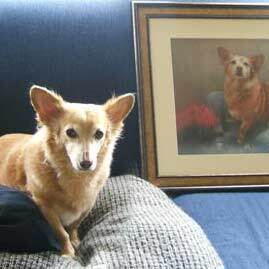 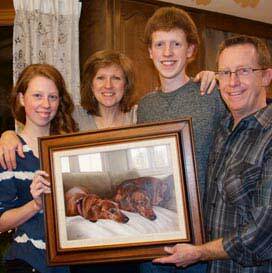 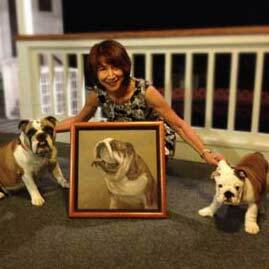 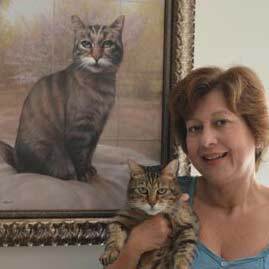 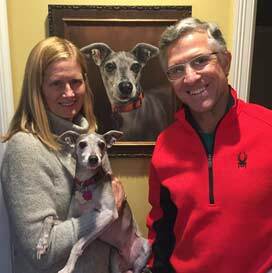 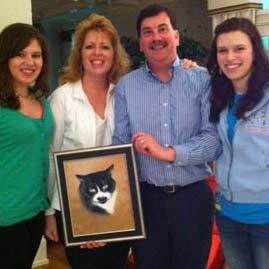 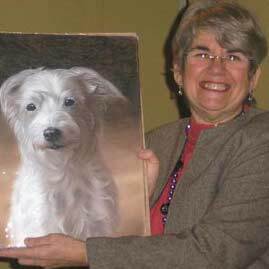 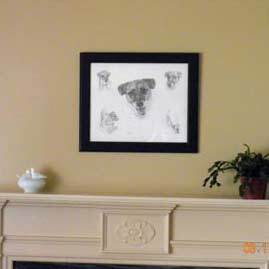 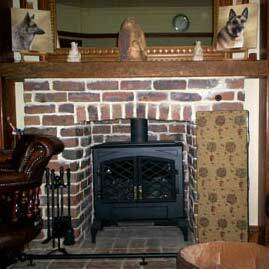 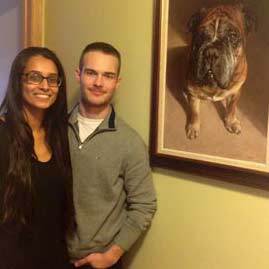 We hope you have enjoyed viewing the pet portraits testimonials. 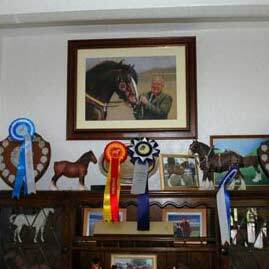 We have quite a few dont we! 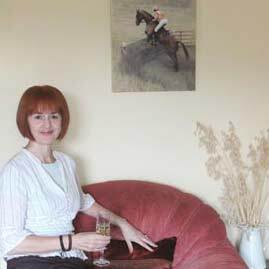 Having been comissioning artists for over 22 years we have recieved many hundreds of wonderful emails and photos from them over the years. 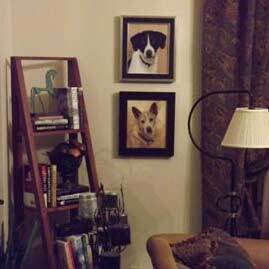 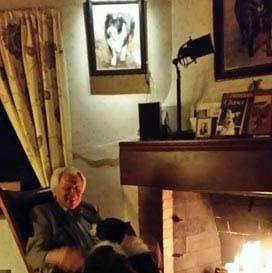 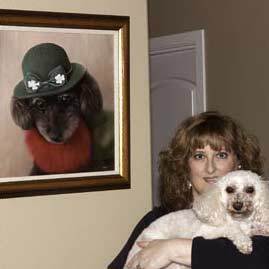 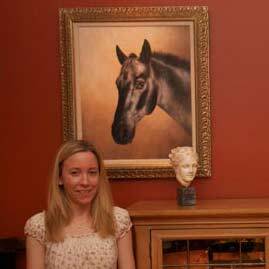 We are especially thrilled when clients are happy to have their photos taken with their portraits and their pets at the same time. 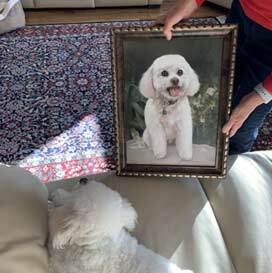 We appreciate how long these photo shoots must take. 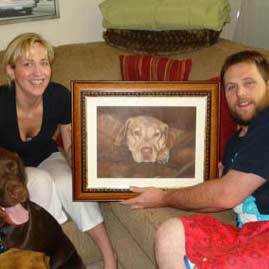 We officially thank not only our clients for doing this and for their pets for cooperating! 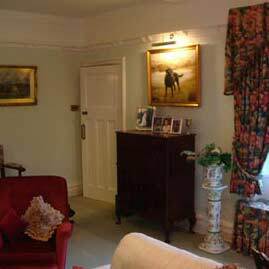 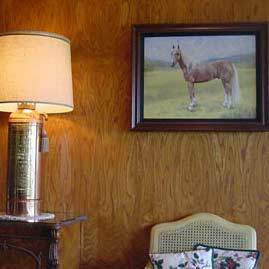 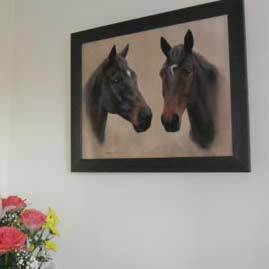 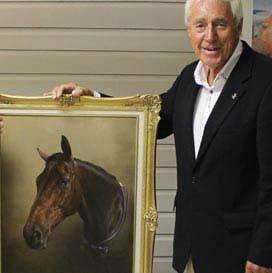 We also simply love to see where our paintings are displayed and we are so proud to show them here too. 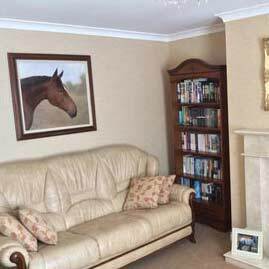 Some of our clients have absolutely beautiful homes and some of the photos look as though they should be in magazines! 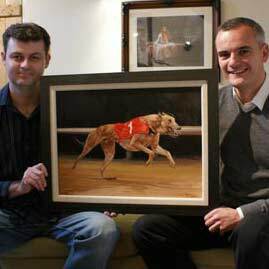 Thank you to all of our clients who have taken photos for us, we really do appreciate it. 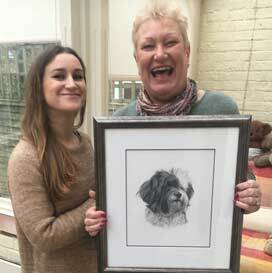 We paint and draw portraits for clients all over the world and we are thrilled when they make the trek to come to our studio to collect their paintings in person. 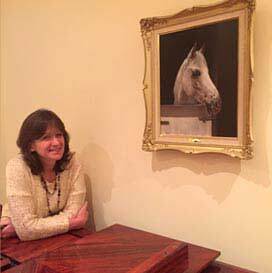 We have met clients from far and wide, even from as far as Singapore. 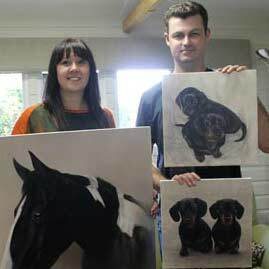 In the main clients are only a few hours drive away and our door is always open for clients to visit our studio. 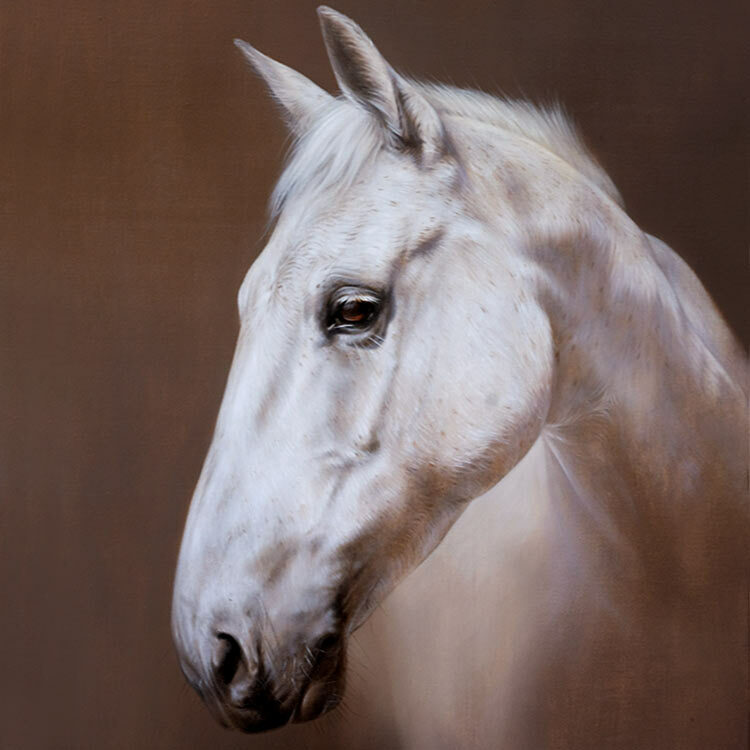 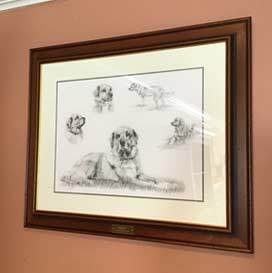 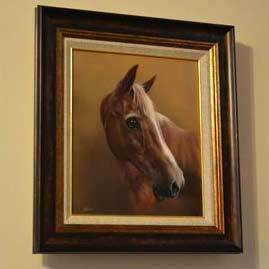 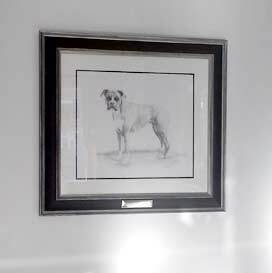 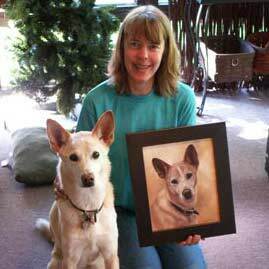 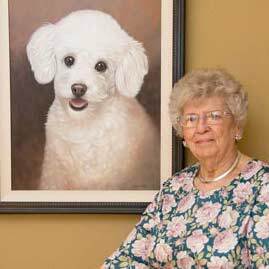 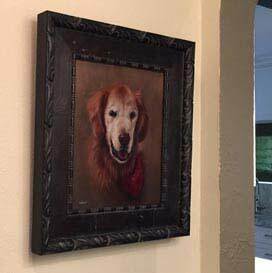 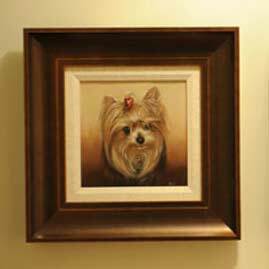 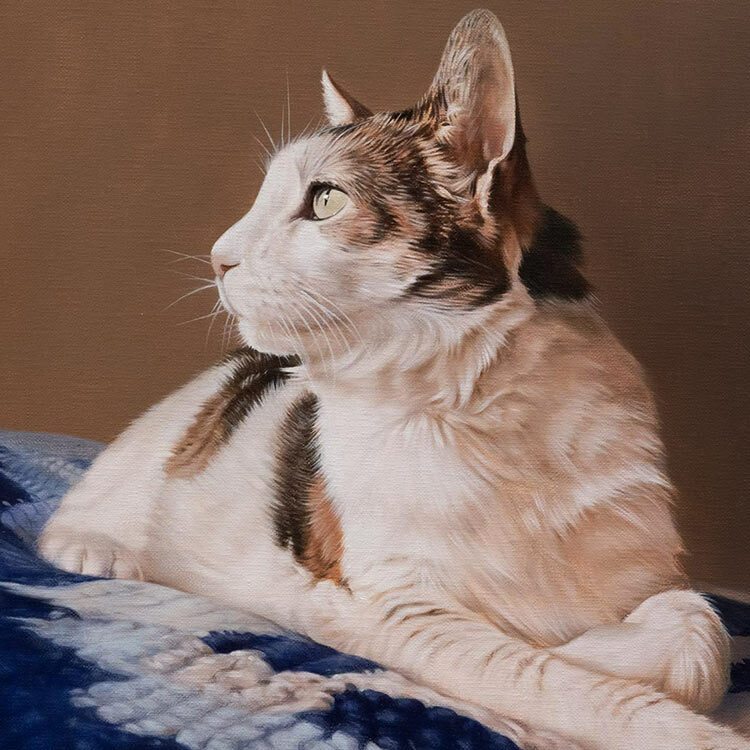 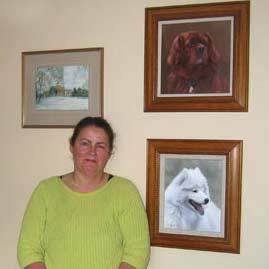 Sadly not all of the pets that we paint are still alive and so our paintings and drawings serve as beautiful reminders of all the wonderful memories they have had with their pets over the years. 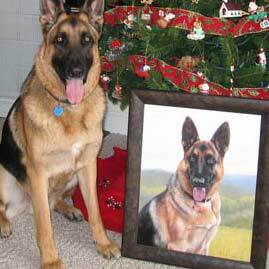 With this being the case, our clients and their family's are often very happy to have their photos taken with their portraits to help keep their pets memory alive here on our website and we officially thank our clients for doing this for us!